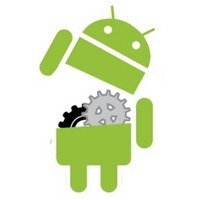 [Weekend Poll] How Important Will Customization Be In Determining Your Next Android Purchase? It's that time of the week again folks - time to hit the polls. This week's question is one that'll allow you to express what you think an Android handset should let you do in terms of customization, modification, and other various tinkering (think rooting, custom ROMs, kernels, etc). Basically, we want to know how important it is for you, as a consumer, that your next phone be easy to customize. Or if that really isn't important at all. Let us know in the comments what ROMs, rooted apps, and other goodies only available to the rooted/unlocked users among us that you just can't live without. Alternatively, let us know why rooting and unlocking aren't important to you. How much customization should your next Android device allow at the bare minimum (assuming it had the best hardware available) for you to consider purchasing it? I really just need access to apps on the Market and basic functions - my next phone should be fast, and have all the features I need right out of the box without any need for customization. I might need app sideloading here and there, or maybe a custom launcher - but I don't really need root access on my next phone. I absolutely need to have root access on my next phone - there's some root-only apps and features out there that I can't ever see myself using Android without. If I can't put a custom ROM on my next phone or at least remove the manufacturer's UI overlay (Motoblur, Touchwiz, Sense), I don't care how good the hardware is- I'm not interested. My next phone needs to be fully unlockable with a near-stock Android experience that I can tweak in any way I choose - so, I'm waiting for the next Nexus phone (or something close to it).